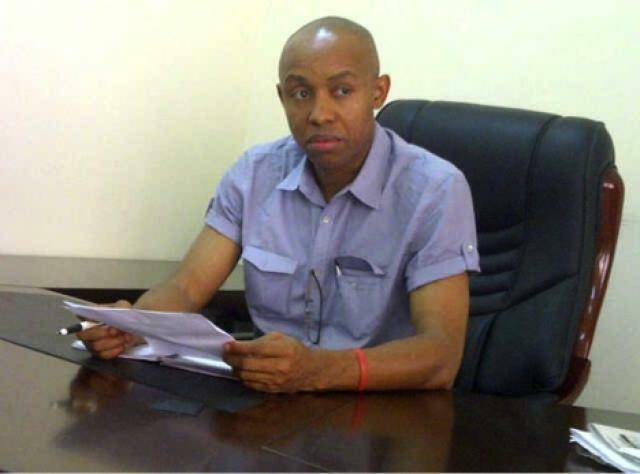 PUBLIC STATEMENT BY CHIDI ANSELM ODINKALU, CHAIRMAN, NATIONAL HUMAN RIGHTS COMMISSION, ON PATTERN OF DEMOLITION OF HUMAN SETTLEMENTS BY PUBLIC AUTHORITIES IN NIGERIA. ABUJA/LAGOS, 31 JULY 2012: My attention has been drawn to a recent and increasing pattern of demolition of human settlements in different parts of the country respectively by federal or state authorities. Communities affected by the most recent instances of demolitions include those in the Waterside in Port Harcourt, Rivers State; Mpape in the Federal Capital Territory; and Makoko in the Lagos Waterfront. The numbers of people affected cumulatively are said to be in the hundreds of thousands or more. In all these cases, there have been allegations that due process was not followed; that there was inadequate notice to the affected communities; that there was no thought given to alternative accommodation or resettlement of the affected communities; that vast populations have been rendered homeless and destitute; and that governments have over-reached their powers with arbitrary and unjustifiable measures against poor people. There are also allegations that these demolitions are in preparation for the affected lands to be discriminatorily re-allocated to more well-off persons. Additionally, in Makoko, it has been alleged that at least one member of the community was killed by projectiles discharged by suspected Police personnel accompanying the demolition squads. These allegations are serious and far-reaching. The National Human Rights Commission will be investigating them and this public statement is issued without prejudice to the outcome of these investigations. As part of these investigations, the Commission will make adequate arrangements to hear from both the affected communities and the agencies of both State and Federal Governments involved. The processes for these investigations will be made public at the appropriate time and will include onsite visits to the affected locations. Complementarily, the Commission proposes to initiate and adopt a set of guidelines against forced evictions and arbitrary demolition of human settlements in Nigeria. I appeal to both State and Federal authorities to support the Commission in this objective. Shelter is both a human need and a basic right. It is guaranteed under the International Covenant on Economic, Social and Cultural Rights and the African Charter on Human and Peoples’Rights, both of which have been voluntarily accepted by Nigeria and are binding on public institutions and government in Nigeria. Where demolition of human settlements occurs without due process, it is regarded as forced eviction or enforced homelessness and violates the prohibition against cruel, inhuman and degrading treatment under our 1999 Constitution. Few things can be as degrading as throwing a family out onto the streets without a roof over their heads. It could also amount to discrimination against poor people in violation of the constitutional prohibition against status-based discrimination. Under certain circumstances, it could also be a crime of forced population transfer under certain circumstances. Moreover, at a time when the country confronts difficult security challenges, the demolition of human settlements has a potential to exacerbate security problems in the country. There is a global consensus on the safeguards against forced evictions. The United Nations Conference on Human Settlements in 1976 agreed that special attention should be paid to “undertaking major clearance operations should take place only when conservation and rehabilitation are not feasible and relocation measures are made”. The Global Strategy for Shelter to the Year 2000, adopted by the United Nations General Assembly in resolution 43/181 of 1988 clearly recognises the “fundamental obligation [of Governments] to protect and improve houses and neighbourhoods, rather than damage or destroy them”. In Agenda 21, the world community, with Nigeria’s avid participation agreed that “people should be protected by law against unfair eviction from their homes or land”. The demolition of any settlement lays economic value and savings to waste. As a result, it must not be done lightly and can only be undertaken in strict fulfilment with the law, due process, and considerations of humane governance as mandated by Section 17(2)(c) of Nigeria’s 1999 Constitution. Where there is re-development of a demolished settlement, priority and first refusal with respect to re-allocation must be accorded to those affected by the demolition. As a safeguard against future allegations of forced eviction and unlawful destruction of human settlements, I shall be establishing liaison with the Federal and State Governments to offer the skills and mandate of the National Human Rights Commission in undertaking compliance, impact, and verification assessments in any location where demolitions are contemplated in due course and to enlist the participation of the Commission in monitoring all processes associated with any demolitions. CHAIR, GOVERNING COUNCIL, NATIONAL HUMAN RIGHTS COMMISSION.